In a recent communiqué to all clubs, Chris Lodge, the newly elected International Match Manager of Cricket Switzerland invited all clubs to submit the names and contact details for players who are interested and available and who would qualify to play for the Swiss National Team. 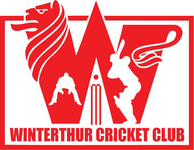 Winterthur members that wish to nominate themselves for the Swiss National side should refer to the Cricket Switzerland website for further details. 5th-7th September in Prague v Czech Rep, Luxembourg and possibly one other team - full details still to be confirmed by the organisers.